There are almost as many "top 10" or "top 100+" apps lists as there are actual apps available for your iPhone or Android smartphone, many of these lists overlapping the others and possibly missing the hidden gems. And with hundreds of thousands of mobile apps available today, browsing for a new app from your mobile phone is really not efficient -- especially since the app markets still need more robust sorting and filtering so you don't have to wade through. Today we’re sharing with you one of the most useful apps we’ve ever encountered during our work experience. The app’s called Perfec – now available on both Android and iOS platforms. Basically, Perfec is a simple and polished tool that brings tons of information at your fingertips – places, services, products and so on. So, if you want to discover things or locations around you with an ease, this is the right way to do it. 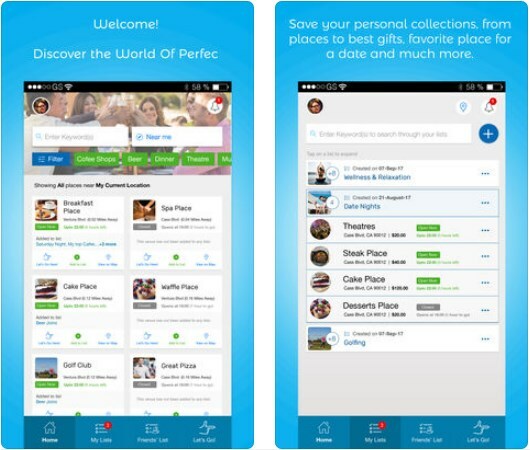 Perfec helps you find the things you love with an ease! It is a powerful location finder that you can use to discover interesting places you want to visit, food you love, fun things to do around you, to get the services you need and buy all kinds of products. You will be able to read trustworthy customer reviews on businesses, social activities and places to have fun, and get awesome deals/specials/sales from your favorite business and places you previously visited. Besides all this, you can write your own reviews and share your experiences with other users. Sounds amazing, right? Even if you’re a business owner, you can use the app to promote and advertise your services and to get positive reviews. Plan fun group activities and don’t forget to invite your friends to join this community-based location finder. Download Perfec for free from the App Store or from Google Play and enjoy.